OSHA is reminding employers to take precautions to protect workers from the potentially fatal effects of carbon monoxide exposure during the operation of portable generators and other equipment in enclosed spaces. Carbon monoxide – a colorless, odorless, toxic gas – is produced by equipment that uses combustion to operate. Such equipment includes space heaters, compressors, power tools, pumps, furnaces, gas-powered forklifts, welding equipment and motorized vehicles. Symptoms of overexposure include headaches, dizziness, drowsiness, nausea, vomiting and tightness in the chest. Severe carbon monoxide overexposure can cause neurological damage, coma and death. The risk of carbon monoxide poisoning increases during the winter months, when fuel-burning equipment and tools are used in buildings or spaces without sufficient ventilation. OSHA resources include a pair of fact sheets, Using Portable Generators Safely and Carbon Monoxide Poisoning, that address specific hazards related to use of the equipment and provide information on how to keep workers safe during operation. Make sure generators have 3 to 4 feet of clearance on all sides and above to ensure adequate ventilation. Do not place a generator near doors, windows or vents that could allow carbon monoxide to enter a building or an enclosed space. If a worker shows symptoms of carbon monoxide poisoning, get the worker to fresh air and seek medical attention immediately. Do not re-enter the area until it has been deemed safe by trained and properly equipped personnel. Between 1992 and 2008, 22 workers were killed annually by work-related carbon monoxide exposure, according to a 2013 NIOSH study. Insurance Associates (a Marsh & McLennan Agency Company) is proud to announce that they are expanding our dedicated claims team with the addition of Jennifer Wood. Jennifer comes to the agency with substantial experience that will allow her to champion clients’ workers compensation needs. Jennifer has over twenty years of experience handling workers’ compensation claims. Prior to Insurance Associates/MMA, she worked with several major insurance carriers as an investigative case manager, lost time adjuster and resolution/litigation specialist. She has also worked for a large defense workers’ compensation firm as a paralegal. Jennifer’s prior experience as Senior Workers’ Comp Advocate at a large Baltimore, MD agency further enhances her strengths as a champion for our clients. At IA/MMA, Jennifer is responsible for ensuring that w/c claims are managed appropriately from first report through settlement. She holds regular claim review meetings with clients to assist them in reducing their reserves and costs while collaborating with our carriers to facilitate excellent claim resolutions and service. Jennifer holds her MD Property & Casualty license. In her spare time, Jennifer enjoys spending time with her son, traveling, bike riding and kayaking. $1,000 award ($500/year over two years for those enrolling in two-year programs) . 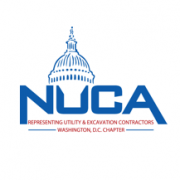 NUCA National Scholarship Eligibility: Any high school senior whose parent or legal guardian is employed by a NUCA member company in good standing at the time of the application deadline may apply. This includes dependents of employees of NUCA members, high school student employees of NUCA members, and dependents of NUCA Chapter Executive Directors. Submission Deadline: April 15, 2019. For Application and more information, click HERE!